There’s a new music-streaming competitor in town, ramped up to tackle big name rivals such as Google and Spotify – and it goes by the name of Amazon. 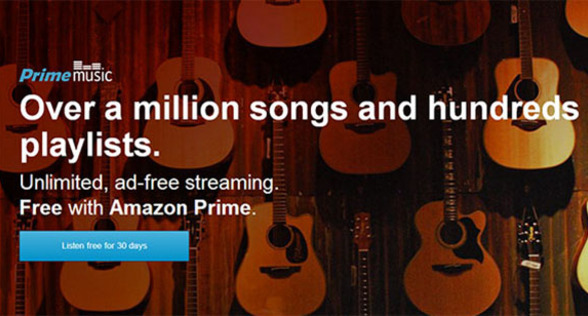 Users subscribed to Amazon Prime – the company’s premium membership plan – not only benefit from the advertising-free service, but now have access to the extensive Prime Music catalogue of songs as well as Amazon’s “lending library” of e-books. Prime customers who pay an annual fee of $99 can enjoy 1 million songs to their hearts’ content, along with free two-day shipping; however, the service is only limited to users in the US. Platforms that support Amazon Prime include Android, iOS, Mac and PC, as well as Amazon’s Kindle Fire tablets. In addition, users will be able to download music for offline listening. While the Prime Music service will be replacing both the Cloud Player apps as well as the MP3 store, there’s a distinct lack of tracks newer than six months old – as it’s been reported that Universal Music Group will not be contributing to the music catalogue.